Opinion New research from NASA suggests that the Arctic warming trend seen in recent decades has indeed resulted from human activities: but not, as is widely assumed at present, those leading to carbon dioxide emissions. 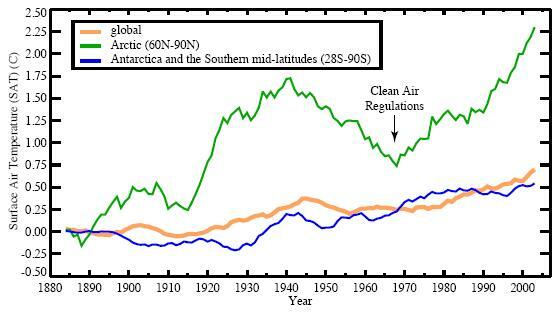 Rather, Arctic warming has been caused in large part by laws introduced to improve air quality and fight acid rain. Acid rain fixed, woo! Hey, what's that gurgling sound? Next page: Dirty Chinese coal to save us all?